Frases Brillantes - Bright Phrases. : "UN BESO SIN AMOR, ES COMO UN WHISKY SIN HIELO." 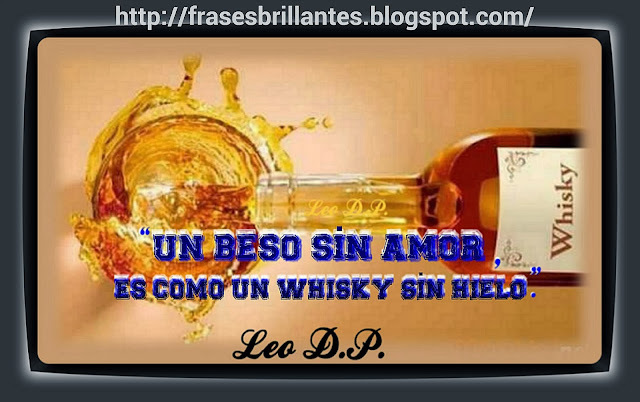 "UN BESO SIN AMOR, ES COMO UN WHISKY SIN HIELO."